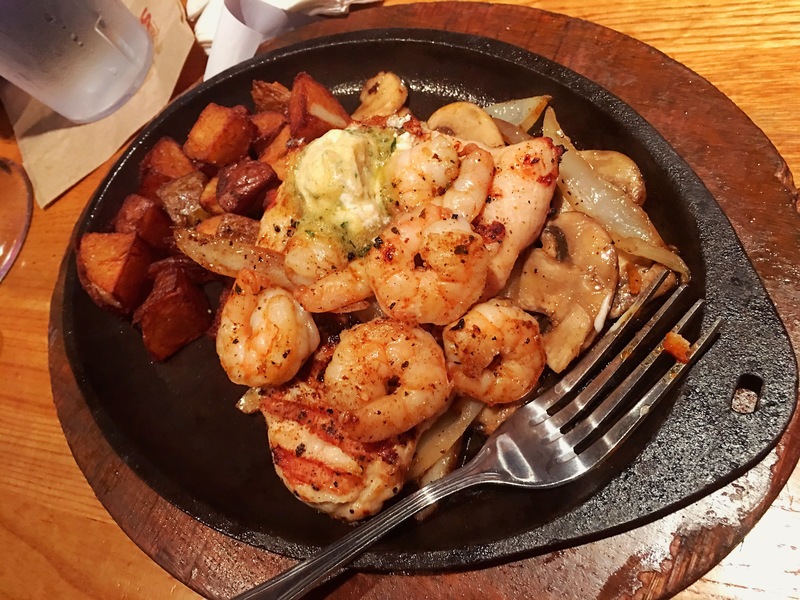 It’s been quite a while since I last visited Applebee’s. I used to go often during their late night happy hour to enjoy margaritas and half-price appetizers. Then life got in the way and it became harder to get away for a Girls Night Out or even a Date Night. 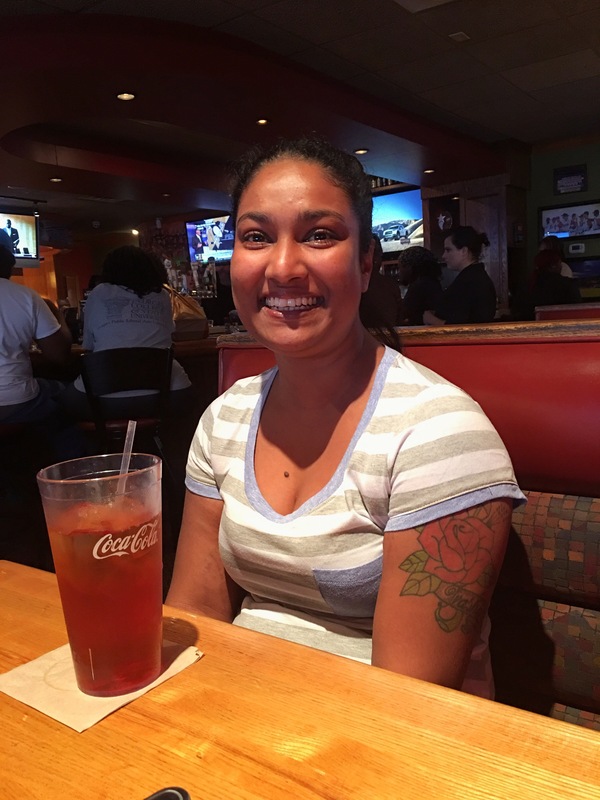 With my cousin Christena visiting from Guyana, I wanted to take her to a quintessential American sit-down restaurant that offered both delicious and affordable meals. 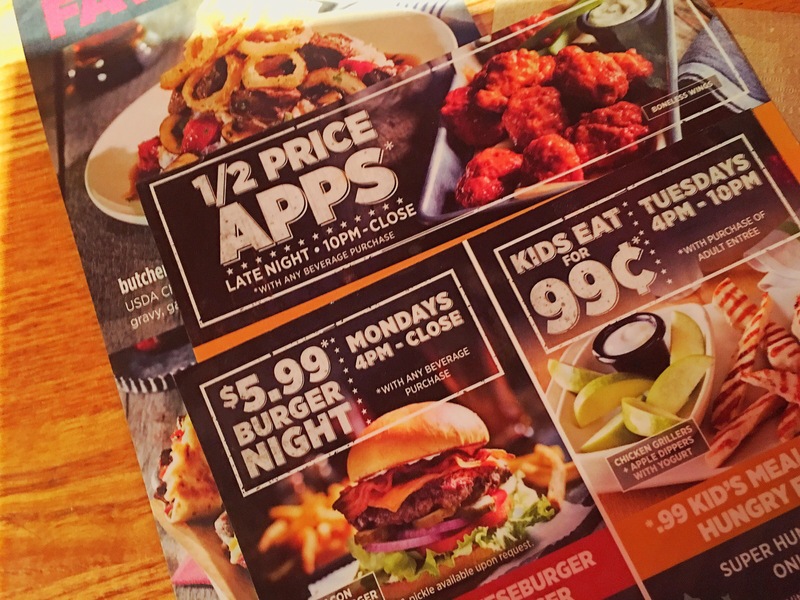 When I learned of the new additions to Applebee’s 2 for $20 and 2 for $25 menu, I knew it would be the perfect choice for a fun family night out. Thanks to Applebee’s Grill & Bar, I was offered a complimentary meal to review the new menu items. We decided to go on a Friday evening. It wasn’t a far drive as we have an Applebee’s less than 5 miles from our home. We were greeted by the host, manager and our waitress. 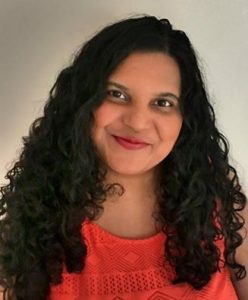 The staff overall was very friendly, accommodating and engaging. We were seated at a booth with a great view of the restaurant. There were several TVs on, each tuned to a different sports channel. There is also a tableside tablet that you can use to order food and drinks, pay your bill and play games (for a small fee) which can help keep little ones entertained while they wait. Little (or big) ones can also stay entertained by doing the activities on the kids’ menu. Even though my daughter is almost 12, she loves word searches and tic-tac-toe. We didn’t use the tablet this time but have in the past. Our waitress was on point, checking on us and being timely with everything. 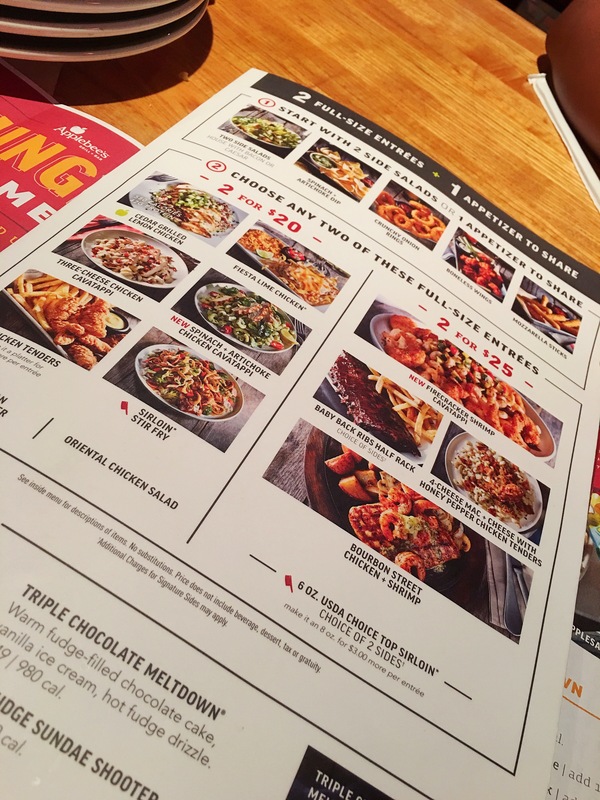 Applebee’s has a lot of drink choices, more so than many other restaurants. 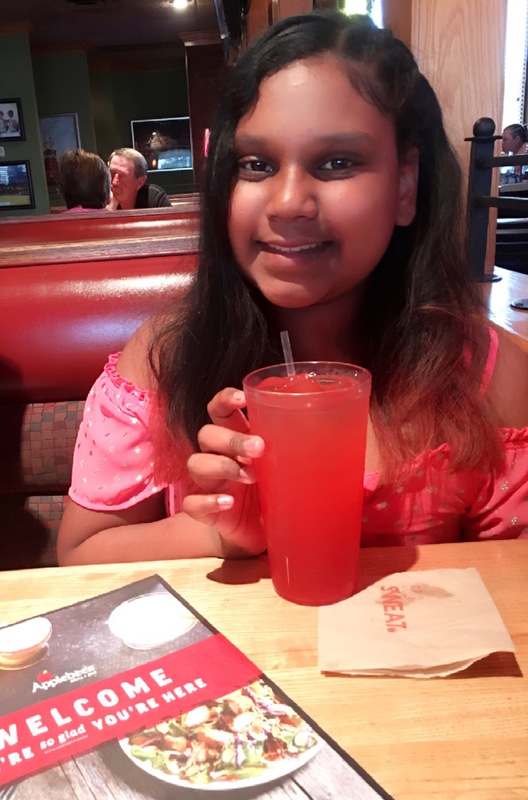 My daughter Ashley chose a Pomegrante Lemonade, Christena chose a Strawberry Ice Tea, I chose a Strawberry Frozen Lemonade and hubby opted for an alcoholic drink. There were also limeades, milkshakes, juices and sodas available. We were pleased with our choices. I especially loved my flavored Frozen Lemonade. The 2 for $20 and 2 for $25 menu each offers an appetizer to share and 2 entrees. I believe you can substitute an appetizer for 2 side salads. 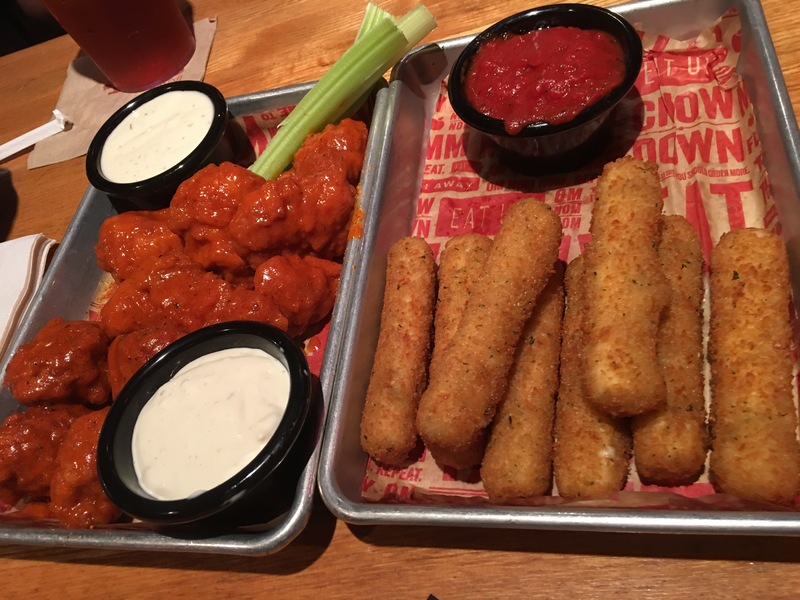 We decided to order the Boneless Wings and Mozarella Sticks as our 2 appetizers, as we were getting 4 entrees. We’ve had the Chips and Spinach Artichoke dip in the past and wanted to try something different. As usual, everything was delicious. 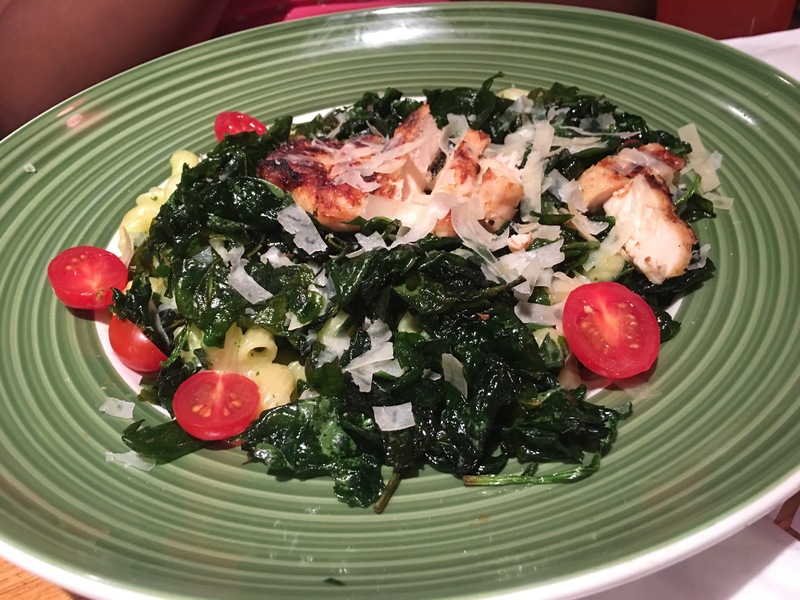 For our 2 for $20 entrees, my daughter ordered the Spinach Artichoke Chicken Cavatappi and I ordered the Sirloin Stir Fry. 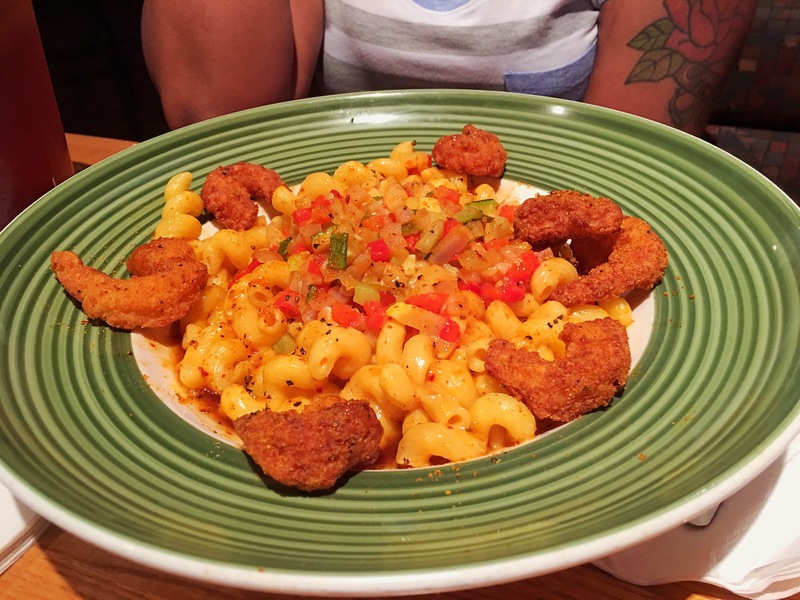 For the 2 for $25 entrees, my husband ordered the Bourbon Street Chicken and Shrimp, and Christena ordered the Firecracker Shrimp Cavatappi. 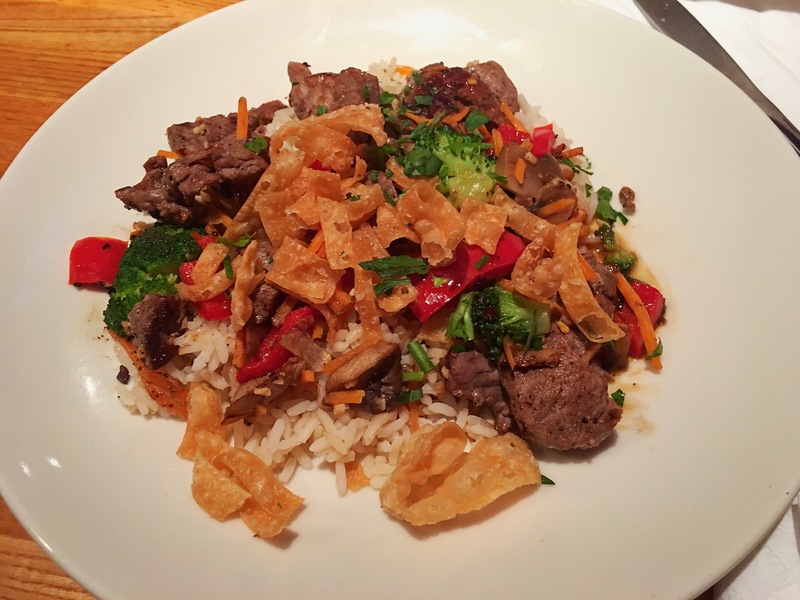 You can choose to mix and match between the 2 for $20 and the 2 for $25 menus if you’d like. Also, you can tailor your meal slightly. You can choose to order without meat if you’re a vegetarian or substitute chicken with shrimp if you’re a Pescatarian or just love shrimp like I do. 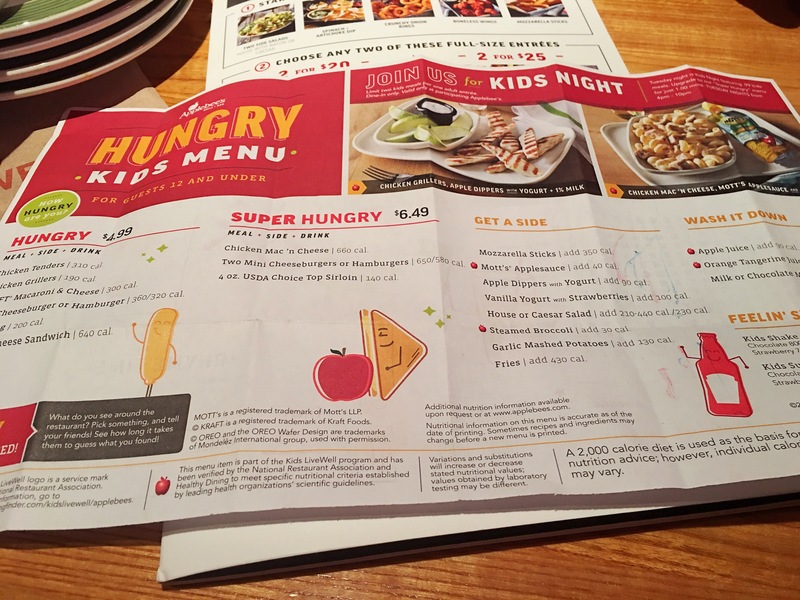 There’s also a kids menu available with options for Hungry and Super hungry kids. You get an entree, side, and drink. On Tuesdays, kids eat for 99cents. I would check with your local Applebee’s to confirm. Although the menu prices are low, the portion sizes are huge. All 4 of us took home a to-go container with half of our meal for lunch the next day. We practically got 8 meals for $45. You could also decide to order fewer meals and share with someone. 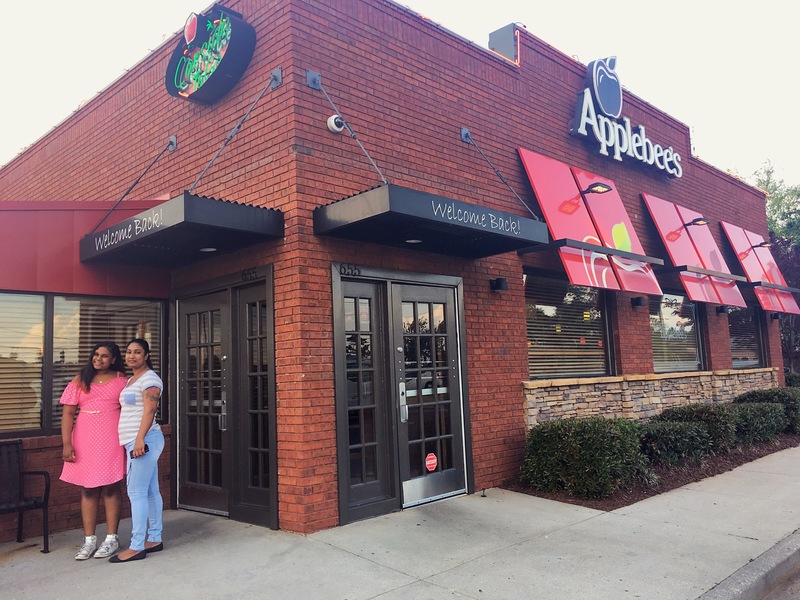 Applebee’s is definitely an affordable restaurant, even for big families. We had to leave room for dessert of course. 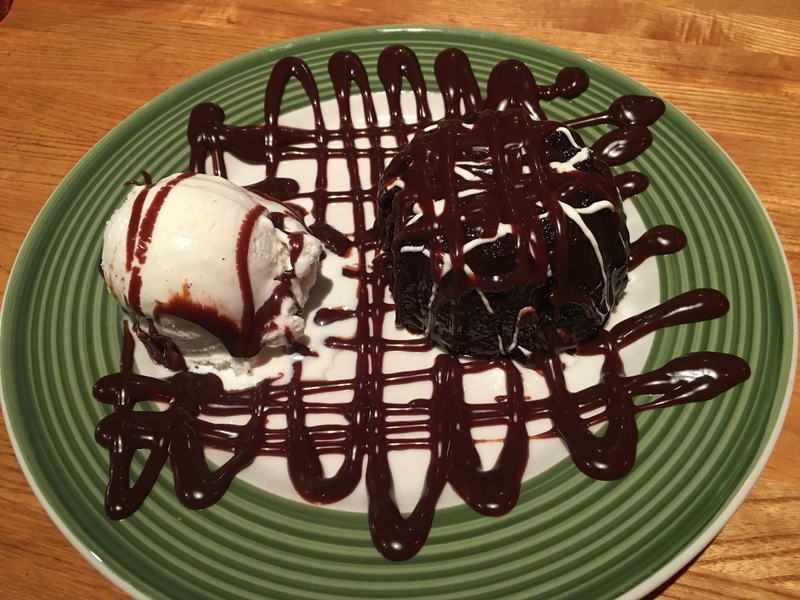 We ordered 1 Triple Chocolate Meltdown and all 4 of us shared it. I could get chocolate wasted with this dessert. It was beyond delicious. The ice cream was cold, the fudge was hot, and the chocolate cake was soft and moist. It was heavenly and sinful at the same time. 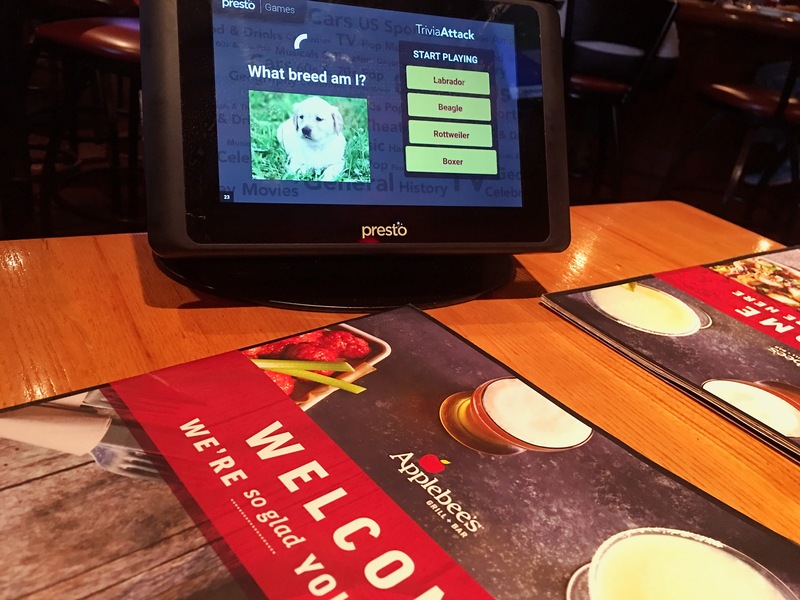 Although Applebee’s seems to be the same Applebee’s we’ve known for years, I definitely see a shift into something more. It’s become a neighborhood restaurant where you can feel like people know who you are. The staff greets you as you enter, engages you in conversation and bids you farewell when you leave. I’m really liking the changes Applebee’s has made to their menu and their restaurant. If you haven’t been lately, you should visit yours – for the food, for the atmosphere, and for that dessert!